Welcome to our site. So glad you visited. We invite you to explore Youth for Christ, Mpumalanga and see what the Lord is doing through your support in our province. Founded in 1995, and we have been consistently impacting youth and communities around the Lowveld and as far as Siyabuswa for 15 years. 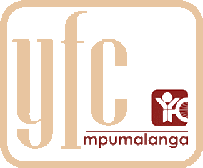 Youth For Christ Mpumalanga was founded in 1995 and we have been consistently impacting youth and communities around the Lowveld, Middelburg, Waterval-Boven, Machadodorp, Bushbuckridge and as far as Siyabuswa for over fifteen years. We have dedicated and passionate staff, endeavouring not only to live our vision and mission, but do so with integrity and excellence. We have an international volunteer programme and will expand that to include gap year students. They have the possibility to get training and real life experience of working and ministering to young people in a supervised and culturally diverse environment. 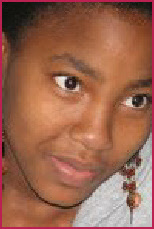 Youth For Christ is a non-profit, non-denominational, Christian youth development ministry directly addressing problems and needs of the young people of South Africa. We are in 6 provinces nationally and 183 countries world wide. Our work is based on Biblically based values education, addressing the decay of the moral fiber and family break down in our communities. We have an international volunteer programme and will expand to get training and real life experience of working and ministering to young people in a closely supervised and culturally diverse environment. This invitation extends to South African young people who have a passion for their peers. We will give you an exciting experience that would stay with you for a life time.